Samara standing in a hallway. Photo by Debbie Morrow, all copyrights reserved. 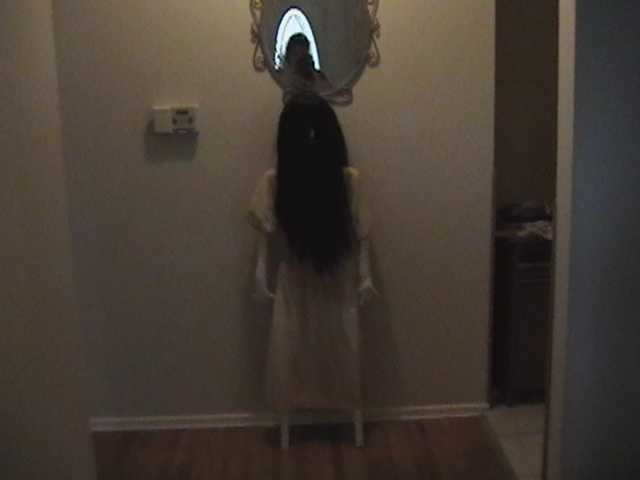 It only took me one time of watching the movie The Ring to wither in fear over that girl Samara. The way she moved her body and climbed out of the well was enough to give me nightmares. As usual, I thought I’d give a few nightmares of my own by making Samara for my yard haunt.